Metro Verdicts Monthly’s graph this month is non-fatal settlements and verdicts in Maryland, the District of Columbia, and Virginia in premises liability cases since 1987. The median non-fatal premises liability case in Maryland was $69,000. The recoveries in Virginia and the District of Columbia are slightly less, $50,000 and $65,000, respectively. If you look at the national data, you see a big difference between Maryland, Washington, D.C., and Virginia and the rest of the country. What is the common thread? Contributory negligence is still the law in all three jurisdictions. As I have said before, I love seeing these different verdicts in Maryland each month. It is always interesting to see different lawyers that you know and see what kind of cases they had and how they fared. What diminishes the value of Metro Verdicts, in my mind, is the turn around time. I have a case in this month’s edition that I tried 6 months ago. It does not diminish the quality of the information but in the Internet era, it is not quite as enjoyable to read stale news. As I suggest above, the value of the average Maryland premises liability settlement is less than the national average. I believe the only reason for this is those cases where the victim may have been negligent herself to cause the accident. This pushes down the settlement average dramatically and also tinkers with verdicts as well. Why? Because juries, as a compromise, sometimes cut back damage awards in cases where the jury debated whether the plaintiff either was contributorily negligent or assumed the risk. This means if you are even 1% at fault for the harm that was caused to you, then you cannot recover. Every state and almost every commentator on this issue has acknowledged that this is wildly unfair. So a lot of very good cases in most states are dead losers in Maryland. What is the difference between contributory negligence and assumption of the risk? Assumption of the risk and contributory negligence are certainly closely related and typically overlapping defenses to premises liability cases in Maryland. The defense of assumption of risk means the plaintiff consented to absolve the defendant of any obligation of conduct toward and she takes her chances as to the risk. Contributory negligence means a mistake the victim made that contributed to the cause a particular accident. So contributory negligence is a goof, if you will, assumption of risk means you took on the danger. Can it be both? Sure. There are many premises cases where there is no real issue of assumption of the risk or contributory negligence. If your case falls into this category, you are in a much different position. So many premises liability cases in Maryland have these issues — particularly slip and fall cases where the defendant did not create the hazard. So if you have a “clean” case, your value is dramatically higher and you are probably better served looking at verdicts based on the injury that you suffered as opposed to the type of case. 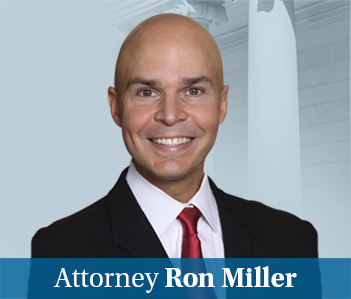 Miller & Zois has garnered millions of dollars for its clients in premises liability case in Maryland. While these results do not guarantee future success, they underscore that we have the experience, the resources, and the skills to maximize the value of your case. If you want to discuss a potential claim, call Ron Miller at 800-883-8082 or get a free online consultation.